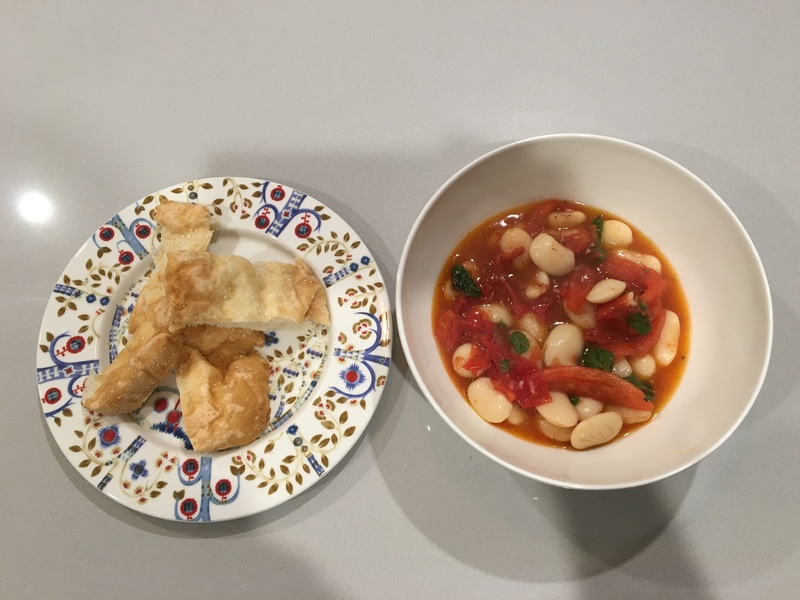 If you can get Spanish butter beans they are worth the price, absolutely delicious straight out of the jar. 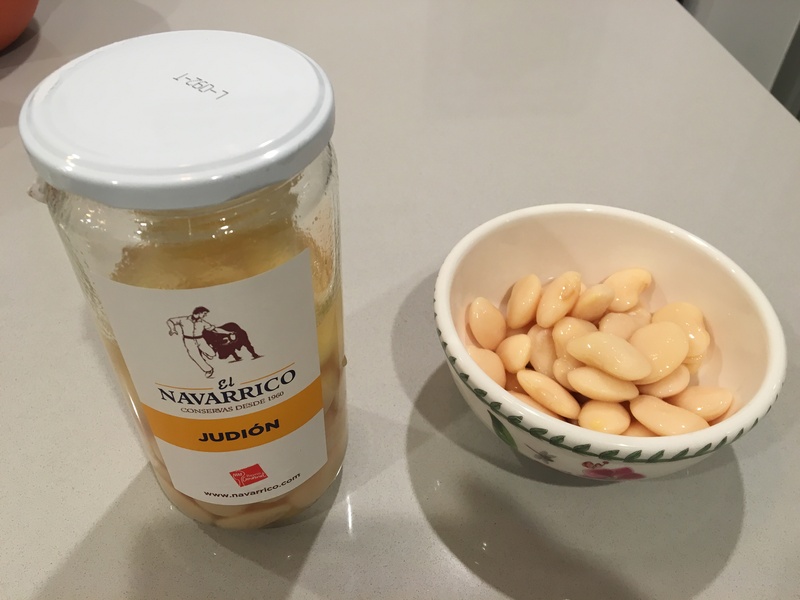 I use ‘NAVARRICO JUDIÓN, LARGE BUTTER BEANS’. Cut the tomatoes into quarters and remove the seeds etc – keep seeds & insides in a separate bowl. Cut quarters in half. Drain butter beans, keeping 3 tablespoons of liquid in a separate bowl. Heat the olive oil over a low heat. Add tomatoes and cook gently for a few minutes. 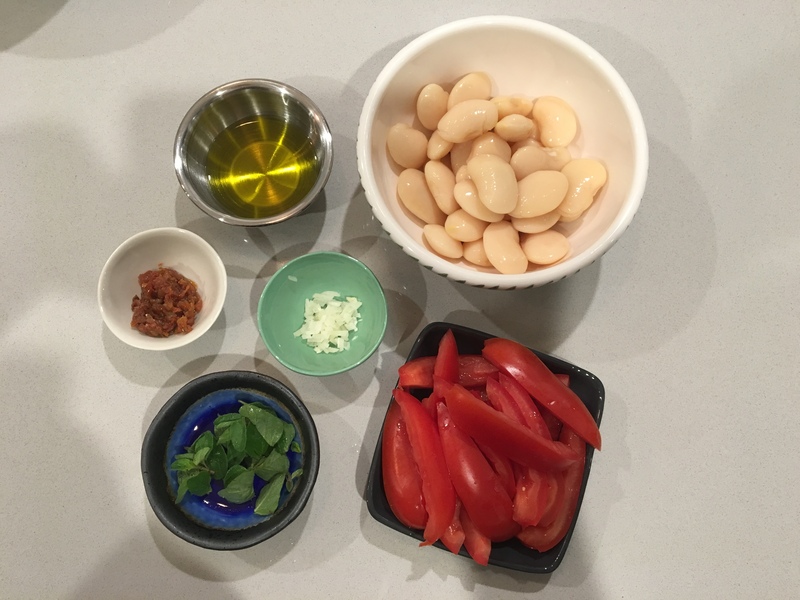 Add the beans and reserved liquid, squeeze juice out of reserved tomato seeds & insides into pot, add garlic and sundried tomatoes – add salt and pepper to taste. Stir and cook gently for about 5 minutes. Tip into serving bowl and stir through the fresh herbs. Serve with crusty bread to mop out the delicious juices.